Thảo luận trong 'Phần mềm portable' bắt đầu bởi ghost0bk, 16 Tháng sáu 2014. TeamViewer offers a clean and easy to use interface. You get to choose whether you want to remote control your partner, share your own desktop with a partner, or just transfer files without sharing your desktop. The magnetic computers & contacts list enables instant teamwork. In the TeamViewer computers & contacts you always see which colleague is available – just one mouse click and you are connected. The computers & contacts lists are stored centrally and you can access them on any computer you use TeamViewer on. All versions of TeamViewer include full file transfer with file and folder copy. For maximum speed all data is automatically compressed before transmission. TeamViewer offers a lot of options to customize the software exactly how you want to have it. You can prioritize speed or quality for the display, and even customize the invitation e-mail that is sent to your partners. 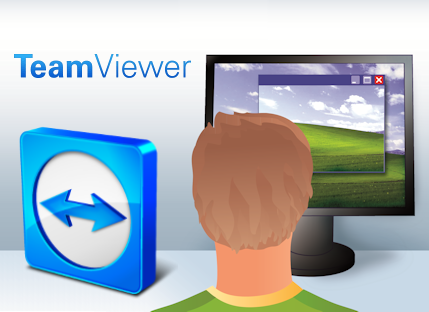 Your customers can use TeamViewer with no installation or admin rights required. They simply launch the QuickSupport module and they’re ready to go. TeamViewer QuickSupport can also be customized quickly and easily with your own logo and greeting. If you also include your computers & contacts list data your partners will instantly show up in your computers & contacts as soon as they start the QuickSupport. Additionally you can allow your partners to contact you via chat even before establishing a remote session. TeamViewer QuickJoin is specially designed for presentations and online meetings. Your participants launch the application and connect easily to your presentation. Customize QuickJoin with your own logo and greeting, and invite participants to your presentation by email! With TeamViewer, connecting with your audience is a breeze. With TeamViewer, accessing unattended computers is no problem. The host module runs as a system service and allows access to servers, home computers or any number of other systems - including login/logout and remote reboot. TeamViewer Host can be customized with your own logo, text and colors. And, unlike with most other providers, TeamViewer lets you install additional hosts at no extra cost. Just purchase a support license and install as many hosts as you need! TeamViewer Management Console is a web based console for easy administration of all TeamViewer users in your company. TeamViewer logs all support connections automatically. You can comment the services you performed after each session. In the TeamViewer Management Console, you will find all connection reports and your comments in one overview. This is the ideal basis for your invoicing. Start your connections to your computers and contacts directly from the TeamViewer Management Console and benefit from 24/7 browser-based access to all of your data. Cái này có full không bác chủ ?